Once a fleet looking to save fuel has digested all the easily attained information from industry sources, adjusted their specs for maximum fuel efficiency, and adopted aftermarket fuel-savers such as aerodynamic devices and no-idling solutions, there’s no question their trucks will start to roll up savings. Wanting to keep that positive flow going is what drives some fleets to figure how they can further push — if not burst — their mpg envelope. For some forward-leaning fleets, boosting fuel efficiency extends to pressing suppliers for a go at the latest technologies. Others run their own tests or turn to third parties to conduct testing to gauge whether promising specs will pan out in their corner of the real world. While there’s no one way to get up on the cutting edge of fuel efficiency, fleets can get there without undue risk to their bottom lines. 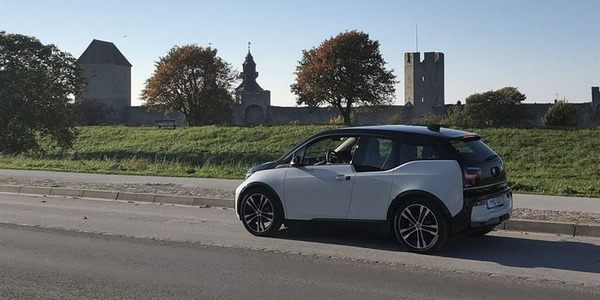 What it takes is moving swiftly, but deliberately, with a data-driven approach that can point to the best way to cut fuel spend. With all that in mind, three experts offer their thoughts on what it means for a fleet operation to get beyond the basics to push its own mpg envelope. MVT Solutions applies highly portable technology developed to measure the performance of race cars to testing fuel efficiency solutions on trucks accurately — and quickly. So quickly, in fact, that its business partner, Mesilla Valley Transportation, was able to test over 100 technologies and spec adjustments for its fleet in just two years. 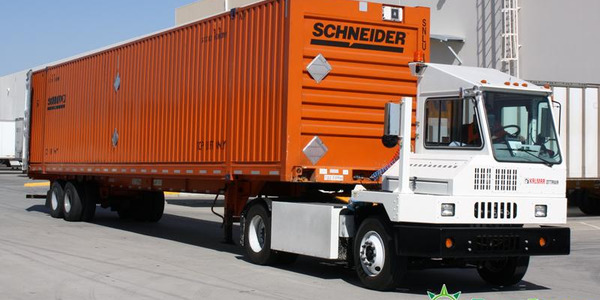 “We started this journey to be more green with the basics,” says John Vesey, Hirschbach Transportation’s operations support manager for fleet sustainability, fuel, and routing operations. 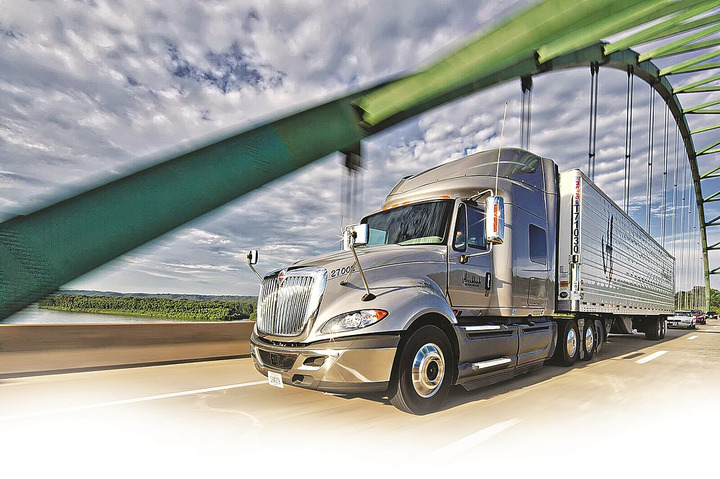 The East Dubuque, Iowa-based carrier, founded in 1925, provides refrigerated truckload service nationwide, dedicated operations, and specialized services, including facility-to-facility high-volume moves and heavy hauls. The privately held operation fields more than 950 trucks and 1,500 trailers. EPA SmartWay-certified since 2008, Hirschbach is a SmartWay Transport Partner and recipient of the 2016 SmartWay Excellence Award. That’s not surprising when you consider that its greenest drivers routinely average 9.5 mpg — with some in the fleet’s newest trucks topping 10 mpg. 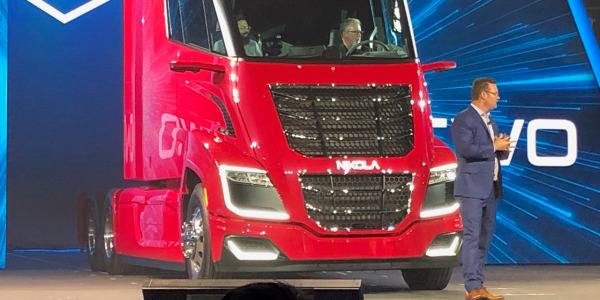 Since then, the carrier has developed close relationships with truck makers and component suppliers, which have helped it to spec smartly for mpg performance and to preview advanced fuel-efficiency technology. 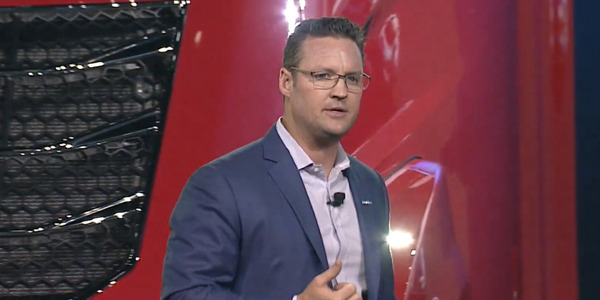 “In 2015, I moved over from the driver side to help bring a new approach to fuel efficiency,” explains Vesey. 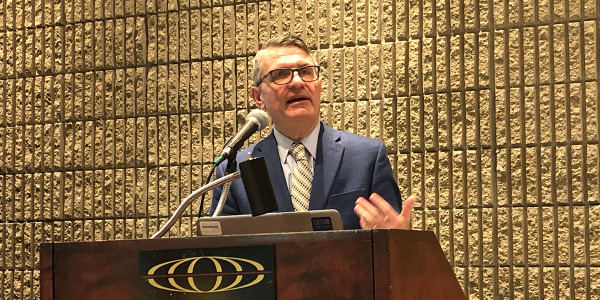 Charged with furthering Hirschbach’s sustainability efforts, he has expanded the mpg improvement effort by staying in touch with suppliers and by working with a third-party test engineer to evaluate new technologies. A participant in the North American Council for Freight Efficiency’s Run on Less fuel-efficiency runs last fall, Hirschbach’s newest International ProStar sleepers are powered by Cummins ISX engines (450 hp at 1750 lbs-ft) mated to Eaton automated manual transmissions and spec’ed with a 2.64 rear axle ratio. They are fitted with the Bendix Wingman with adaptive cruise control, a diesel auxiliary power unit to cut idling, and a slew of wind-cheating enhancements that include aerodynamic bumper, roof fairing, side gap fairing, wheel covers and wheel gap coverings, and fuel-tank skirting. Hirschbach recently conducted two tests of aerodynamic devices that led it to place additional aero skirts and mudflaps on its 53-foot trailers. 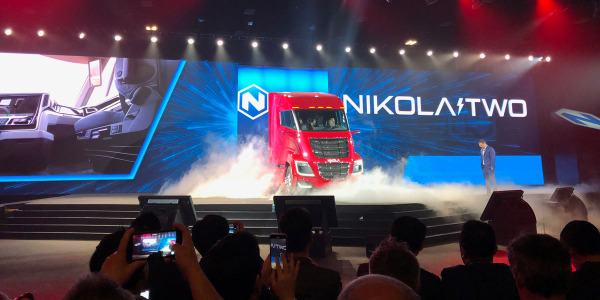 Trailers also boast aero top and side fairings, the latest low-emissions reefer units, and wide-base single tires mounted on lighter-weight aluminum wheels. In recent years, the fleet’s lightweighting efforts have trimmed away almost 2,000 pounds from rigs. 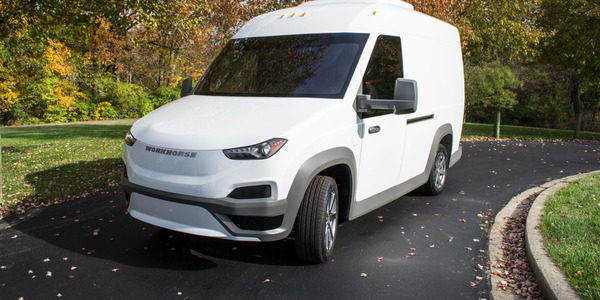 By contracting with Daryl Bear of MVT Solutions to conduct some fuel-efficiency testing directly for the fleet, Hirschbach has also “gained some good supplier contacts. For example, we found out about Wabash’s Ventix DRS segmented trailer skirt system and were able to test it on our choice of trailer. “As far as attracting suppliers for us to be a test fleet,” Vesey continues, “it often comes down to being known for our efforts, whether that’s by getting a SmartWay award or being in an HDT article [Hirschbach was named an HDT Top Green Fleet in 2017]. Mesilla Valley Transportation itself has become well known for pushing the fuel-economy envelope. A NACFE Run for Less participant, the latest mpg-boosters in the MVT fleet include aero skirts on 100% of its trailers as well as trailer “boat tails,” aero wheel cover/wheel gap coverings on tandems, and a very narrow (under 24 inches) tractor-trailer gap. MVTS is a partnership formed by Bear and Mesilla Valley Transportation. 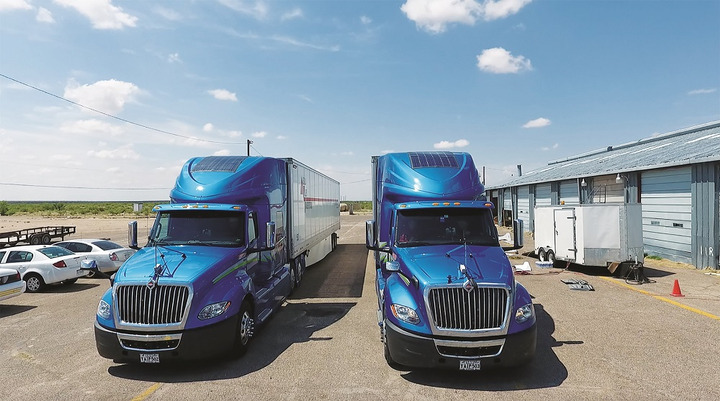 It grew out of the advanced fuel-economy testing that Bear’s InnoMetric MPG firm performed over several years for the Las Cruces, New Mexico-based truckload carrier. Under the leadership of President and CEO Royal Jones, Mesilla Valley Transportation has become well known for pushing the fuel-economy envelope. A NACFE Run on Less participant, the latest mpg-boosters in the MVT fleet include aero skirts on 100% of its trailers as well as trailer boat tails, aero wheel cover/wheel gap coverings on tandems, and a very narrow (under 24 inches) tractor-trailer gap. Also, MVT rolls on low-rolling-resistance tires, taps solar power to charge electric APUs, and has worked to cut the parasitic drag on its tractors. MVT began relying on Bear’s InnoMetric MPG operation in 2012 to carry out high-tech testing of various new fuel-efficiency solutions. The fleet had tried other available test types, but found nothing was easier or more cost-effective than the methods Bear had developed by adapting what he’d learned as a race engineer, including for the Indy Racing League. Bear launched his racing career in 2007, a few years after earning an engineering degree from Toronto’s Ryerson University. Working with MVT led to the formation in 2016 of MVTS, which makes the trucking-oriented testing the two companies developed available to other fleets. Bear says MVT Solutions applies highly portable technology developed to measure the performance of race cars to testing fuel efficiency solutions on trucks accurately — and quickly. Once the testing program was refined, it was introduced to MVT, which found that it could get reliable answers in a matter of hours. As a result, the MVT fleet was able to test more than 100 technologies and spec adjustments in just two years. 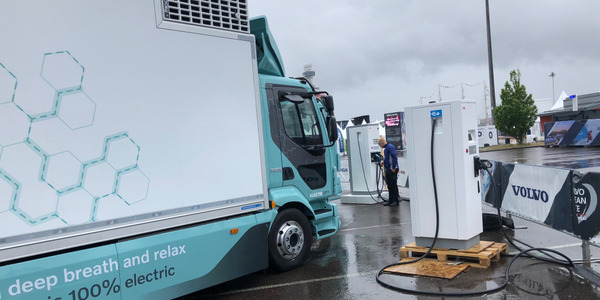 Bear says the MVT Solutions technology is a “whole new generation” of testing, especially compared to the SAE/TMC Type II in-service fuel consumption test procedures that have been used going back to the 1980s. He says the older methodology is time-consuming, requiring test and control vehicles, and did not yield accurate enough results. “With all that is at stake [with boosting mpg], in terms of accuracy, it [the SAE/TMC protocol] was like bringing a knife to a gunfight. “Type II testing will get you in the ballpark,” he continues, “but when you are making a million-dollar decision, you need a real-world correlation. Our methodology takes the guesswork out, and the testing is easier to run,” with no fuel tanks to weigh after multiple test runs. He says a fleet can even kick off mpg testing not only by looking at one component or product or another, but also by telling MVT Solutions “where it wants to be, such as ‘at 9 mpg’ and then we can figure out what will work best for them. “Honestly,” adds Bear, “the one thing fleets could do to improve fuel efficiency is to become better educated. That’s not their fault. The industry needs to do a better job of getting the word out” on what works for fuel efficiency. Hirschbach has developed close relationships with truck makers and component suppliers, helping it to spec smartly for mpg performance and to preview advanced fuel-efficient technology. “I did as much testing [for fuel economy] at the smaller fleets I worked at as I did at U.S. Xpress,” says Gerry Mead. After spending 20 years in fleet management, the recent HDT Truck Fleet Innovator went over to the supplier side last year, joining Phillips Industries as executive director of innovations. His last fleet post was senior vice president of maintenance for the Chattanooga-based mega truckload carrier. Prior to U.S. Xpress, he held top executive or regional maintenance positions with such fleets as PAM Transport, Walmart, and J.B. Hunt. Before launching his trucking career, Mead served as a Marine Corps motor transport maintenance chief. 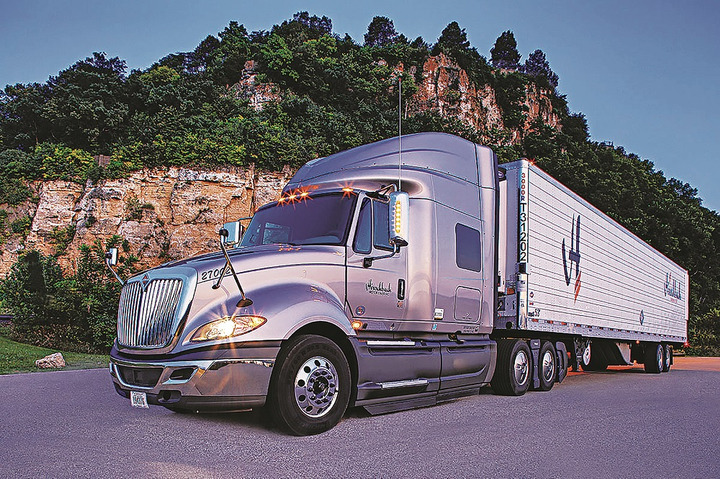 While at U.S. Xpress, Mead turned to testing to prove out new ideas that paved the way for the fleet to adopt a range of vehicle technologies to boost mpg as well as to lower operating costs and improve safety. For example, in 2016, he tested solar power to help handle tractor “hotel loads” by installing 200- and 300-watt solar panels on the roofs of three cabs. He specifically looked at battery usage and charging, and also how much power was drawn from the panels instead of the alternator. He found that the setup not only charged the batteries, but it also dropped fuel consumption slightly thanks to the alternator not running, and cut down wear and tear on the alternator. On Mead’s watch, in early 2017, the carrier joined Pointe-Claire, Quebec-based PIT Group, an engineering test organization that helps member fleets select technologies to reduce costs and lessen environmental impacts. U.S. Xpress signed on after PIT conducted in-service fuel consumption testing at the carrier’s Tunnel Hill, Georgia, location. That testing, done with the carrier’s own vehicles, involved a variety of 2016 and 2017 tractor and trailer combinations with equivalent loads. The rigs ran over a 52-mile test route laid out over local highways and roads that was meant to be representative of the fleet’s day-to-day operations. And he has advice on how to get your questions answered. “As it is, a lot of fleet managers do not break down their specs, say down to tires and clutches. But suppliers, maybe not the big OEMs but the many component and system suppliers, are always looking for fleets with solid operating data to test products for them. “Doing so,” he continues, “you will sign an agreement and take on an assumption of risk. That’s why you want their engineers kept at your fingertips” to handle any issues that might arise on the road.